Despite the best efforts of the weather I was finally able to get pics for a finish this Friday! While the rest of the country has been buried in snow here in Texas we've been overcast, damp, and cold. The Scrappy Stars quilt is the first one I have finished specifically for the Covered in Love project. 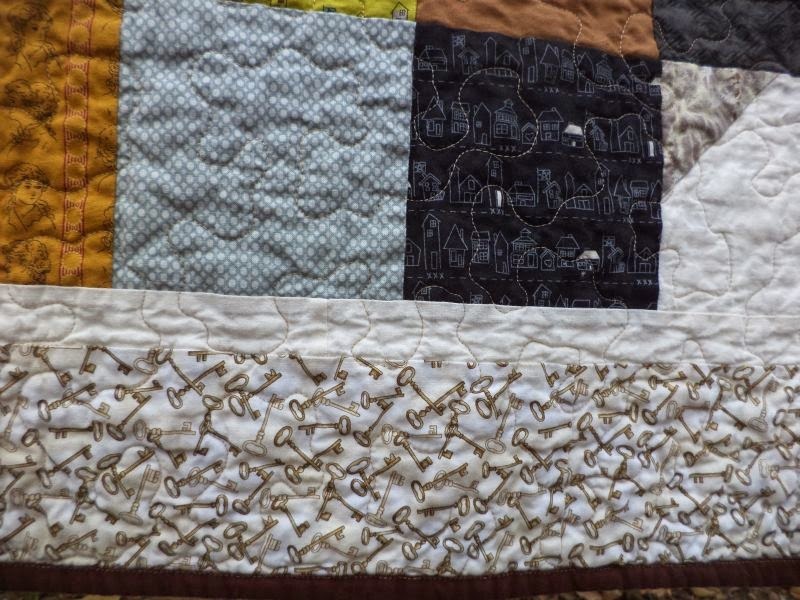 This is a project that is near and dear to my heart, to bring small comfort quilts to the family members of patients who die in the hospital where I work. I am starting by trying to turn my scraps into as many small quilts as possible to build a stash of quilts at the hospital. The Scrappy Stars quilts measures 50" x 65". 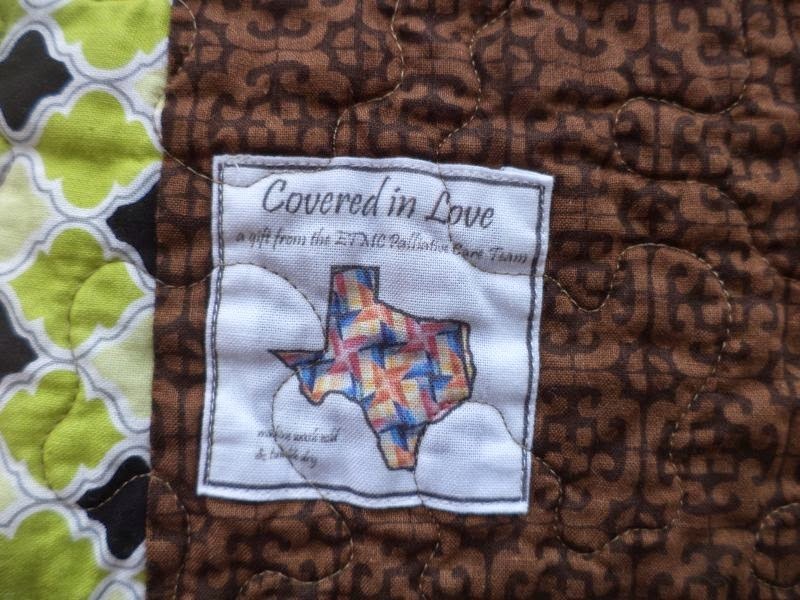 The quilts for Covered in Love need to be small so they can be placed on a hospital bed, but large enough to be useful once they are brought home by the family. The hospital isn't a good place to die. Most people imagine they will die at home, surrounded by family, preferably in their sleep. The reality for most of us is far different. The goal of CiL is to bring a small measure of comfort to families of patients dying in the hospital when they would rather be anywhere else. I can probably make about 3-4 quilts a month for CiL, and while each one makes a difference, that won't even begin to cover the need. 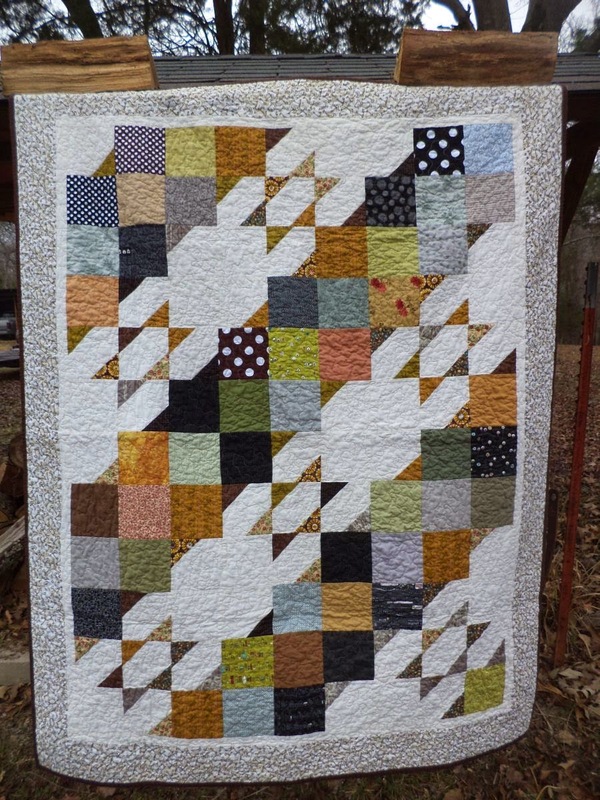 If anyone wants to contribute quilts, blocks, UFOs or tops to CiL I would be very grateful. You can read more about the project on its homepage. Please comment or email with any questions or for my address. Linking to Finish it Friday at Crazy Mom Quilts and Oh Scrap! at Quilting is More Fun Than Housework. 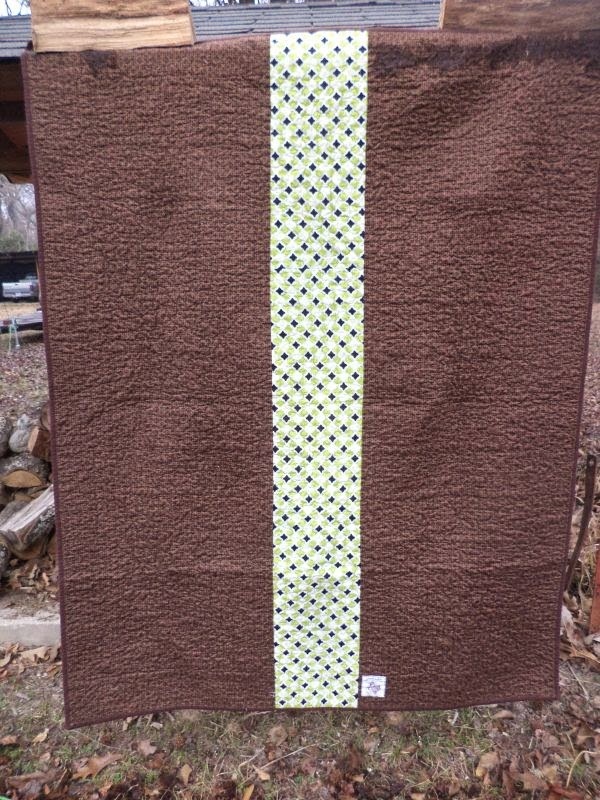 Someone is going to be so happy to get your lovely made with love quilt! The label is fabulous too! What a great initiative, I wish you all the best with it! What a wonderful thing you are doing! I love making neonatal quilts for our local hospital, it's so rewarding to give a small piece of comfort to someone in need. 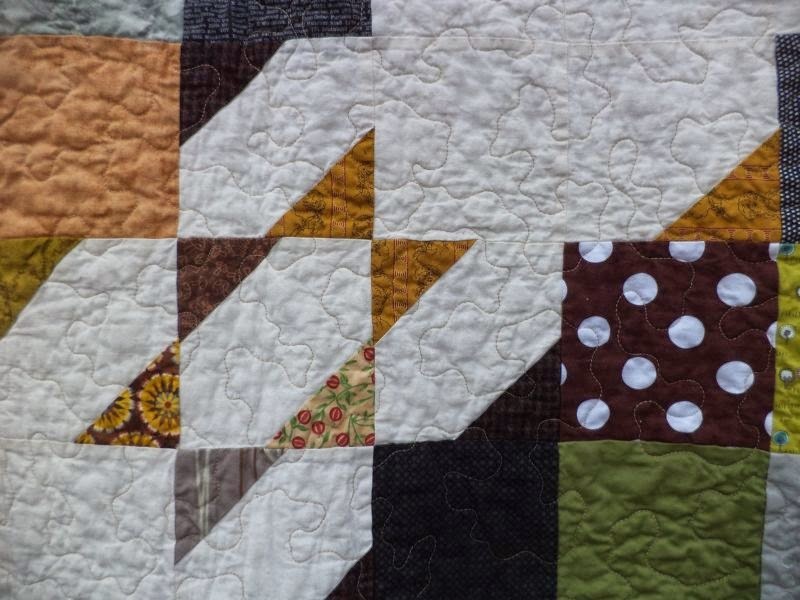 Wonderful project, and a beautiful quilt. May it bring comfort. Beautiful quilt going to a loving cause. I am sure it will bring comfort to many. Thanks for sharing with Oh Scrap! That quilt will bring someone great comfort when it is needed most. It is lovely.